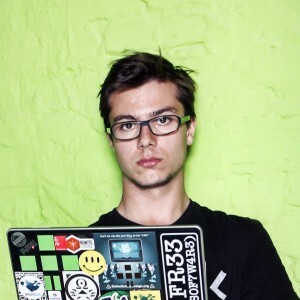 Hugo Roy is a Free Software hacktivist and FSFE’s French Team coordinator. He currently lives between Berlin and Paris, and is a law student at Sciences Po University. He began life with FSFE in 2009, assisting FSFE president Karsten Gerloff on policy issues, and is also co-founder of the Digital Freedoms association. He is a member of April and of French Data Network. Chris Woolfrey:Tell me what you’ve been working on recently. Hugo Roy: Since 2010 I’ve been representing FSFE in France. This involves getting involved in events and conferences, and occasionally acting as an interface between various organisations and FSFE — some very local, and some national. There is a very strong and organised Free Software community in France — for instance with the yearly conference RMLL (Rencontres Mondiales du Logiciel Libre) — so one of my ongoing jobs is to show a face for FSFE, make a personal connection and explain what we do and why we exist. Then on further levels, it sometimes gets into collaboration on campaigns or issues. For instance, one of my main area of activities in Free Software is legal and public affairs. At the moment I’m mainly working on setting up our Free Your Android campaign in France, with phone liberation workshops. I really believe in this project: I think mobile devices are becoming more and more important, and having control over them, and more importantly over the services that we run them with, is becoming more important too. CW: You’re studying copyright law at the moment. Did you become interested in the study of copyright law as a result of an involvement with Free Software? HR: Yes. I discovered Free Software as a movement around 2004, when I was in Collège. I was already using almost exclusively Free Software at the time, I just didn’t know it! Then a couple of years later I decided to install GNU/Linux, and have stuck with it since then. But the writings of Richard Stallman, and also his involvement with the creation of one of the most interesting legal tools ever, the GNU GPL, has definitely influenced my interest in copyright and law in general. And I have to say it’s been very interesting to discuss this topic in class, with professors who have showed interest on Stallman’s work. The whole concept of “property” is turned upside down! CW: Can you explain what you mean by that? HR: Well, if you look at copyright, it’s an exclusive right, it’s a power given to someone to exclude others. Now, if you look at the GNU GPL, it’s essentially a copyright license. But what the GNU GPL does, what we call copyleft, is make sure that all contributions by others will be included for the community to benefit. So the GNU GPL uses exclusive rights to create inclusivity. What’s also interesting is that exclusive rights such as those relating to private property are often put forward as necessary to increase the common good. Whether you take the utilitarian point of view or the natural rights point of view, property as an exclusive right is seen as a necessity to create value. Now if we apply this to software, let’s just compare proprietary software and Free Software. Which one do you think creates more value? With Free Software, everyone benefits from the value that’s created, so everyone’s empowered to create more value, and with copyleft, we’re even encouraged to do so by publishing our modifications under an inclusive license. CW:Can this model apply to other products as well? More tangible things? HR: If it works, why not? When I read all these articles about 3D printers, it’s mind-blowing. We could all share designs for physical things under copyleft-type licenses, and then all manufacture the objects ourselves in a completely different way. Of course, we’re a long way before it happens and before we see the full consequences, but sharing in this way could help solve a huge problem. Our economies currently create a lot of waste. Think about all the objects we throw away, all the refuse. This might count for economic “growth” but is it really created value, or is it created waste? Currently there’s a big incentive for companies to produce waste in tangible goods, especially regarding planned obsolescence. But I think this could change; if the production of objects were changed, for instance if design plans were shared, and the production distributed. CW: Are you expected in your role as French Team Coordinator to draw attention to the wider implications of Free Software to society? HR: I think the role of the coordinator really depends on the mission the coordinator has. For instance in France, what matters is team building, raising awareness about FSFE and coordination with teams. That’s obviously a very different task in Germany where FSFE is very well known. But I’d like to say something about the wider implications and drawing those connections. There’s a French website about Free Software called Framablog, where they talk about a lot of related issues, and their motto is “It would be unfortunate if Free Software did nothing else than liberating code”. Free software is about liberating people. The movement always has wider implications. For instance since June I’ve put a lot of my energy into Terms of Service; Didn’t Read, for which we recently ran a successful crowd-funding campaign. This project is not strictly about Free Software, but it’s about software as a service, and about user freedoms and rights. It’s important that people understand, in the same way that some of us have understood what’s proprietary software and why it’s not good for our autonomy, that using services on the web has a direct effect on our freedom. For instance if you use a service that restricts your freedom of expression, or might suspend your account at any time, or a service that even forbids you to use a pseudonym to express yourself, then you ought to know about it, so that you can fight against it. We should have more rights online; we shouldn’t accept a regression of our rights. That’s the paradox of our time: as technology increases our possibilities, big companies are restricting our rights with that very technology: DRM, proprietary software etc., and also through legal schemes like restrictive terms of service, and pushing through laws that restrict our freedom, like ACTA, the HADOPI law, and so on. Services that use Free Software (e.g. AGPL licensed software) have an incentive not to screw their users. Ultimately let’s hope that there will be more AGPL software-based services, and software applications offered as services become more distributed. In all these things, Free Software is a common denominator, it’s as simple as that: without Free Software, freedom is at risk. CW: How aware are French people of their rights online, and issues concerning software freedom? HR: That’s a really difficult question to answer. We’ve sure had some debate in the last few years – what with the HADOPI law being passed, but also to a lesser extent with ACTA. But the debate around HADOPI and the copyright on internet-based creative works is mostly a diversion of the real issues, in my opinion. CW: What are the real problems? HR: The public domain is dying. Let’s take one example: George Méliès” movie, Trip to the Moon. It’s in the public domain, and it is a beautiful 20-minute movie. In the last few years they rediscovered some parts that were lost, and so were able to restore the movie to almost the exact work done by Méliès on the original, in which every clip had been hand painted -this was in the days before colour film. It’s beautiful. This restored version, which was funded by a French foundation, has been published recently with a new soundtrack added to it -so they’ve now been able re-enclose a work which was once in the public domain. Because of the new soundtrack they can make the argument that it’s a new work, which can be copyrighted; even though under copyright law restoration doesn’t count as a new creation, meaning it shouldn’t be entitled to a new copyright. So if I shared this film, which should really be in the public domain, with you, I’d be infringing on copyright. Another example: libraries, obviously, have a lot of old books which are in the public domain. Now that they’re scanning and digitizing them, they’re adding restrictions to them, or they’re licensing out to private companies the task of scanning the documents, and then giving those companies exclusive rights to exploit the scans, sometimes not even with public access. CW: How does that tie back into the Free Software movement for you? Through the GPL? HR: It’s about what rights and freedom we have. The GPL is a fair contract. Copyright as it is today, is not fair at all.